Miri – 4 June 2018 – A group of 34 second-year Bachelor of Science in Applied Geology students of Curtin University Malaysia (Curtin Malaysia), recently visited the northern region of Labuan island on a weeklong field trip to conduct geological field surveys as part of their Field Geology Techniques unit. Miri – 17 November 2015 – Three Curtin University, Sarawak Malaysia (Curtin Sarawak) applied geology students recently took part in a beach clean-up organised by the Miri Photographic Society at Tusan Beach on the southern outskirts of Miri. Over the years, Tusan Beach has been nicknamed ‘Fossil Beach’ by Curtin Sarawak’s geology students due to its spectacular tilted sedimentary rocks, ripple marks and fossils. 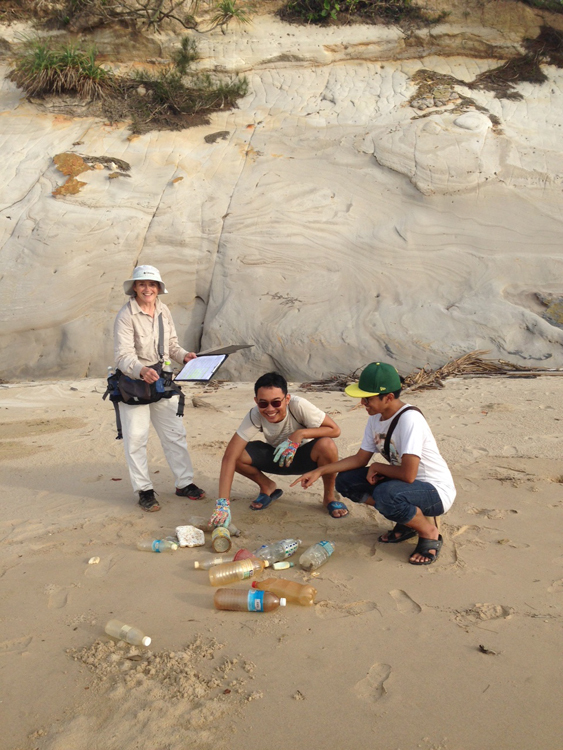 Dr. Dominique Dodge-Wan (left) and students collecting and analysing litter. 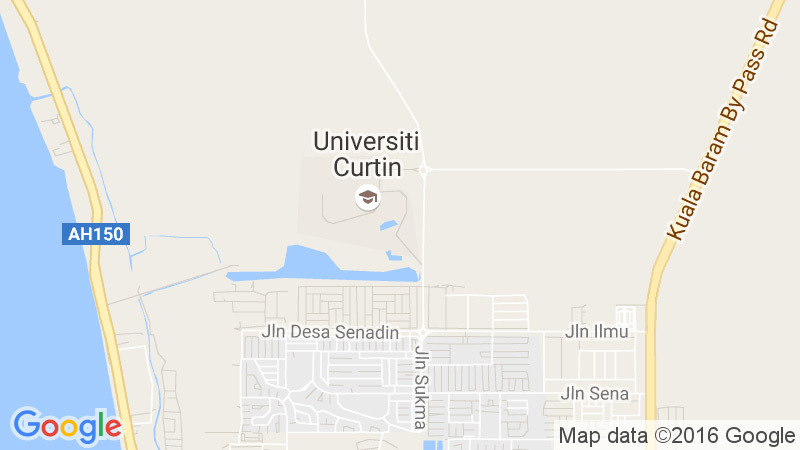 Curtin Geology Day 2014 was an event organized by Curtin Geology Club at Curtin University Sarawak, Malaysia, September 2014. This event was conducted by first-year students of applied geology with help from seniors, lecturers and staff of the Department of Applied Geology. 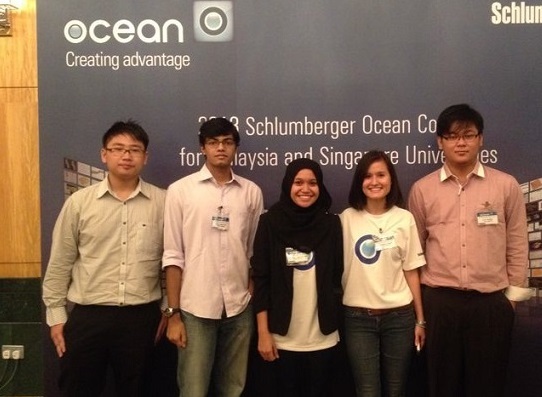 MIRI: Five Curtin University Sarawak students came in second for the inaugural Schlumberger Ocean Plug-in Competition 2013 in Kuala Lumpur. 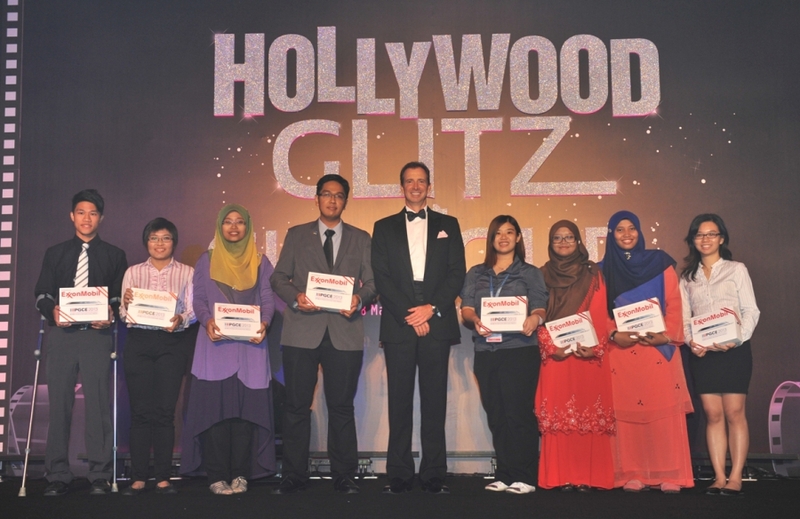 The School of Engineering and Science students won RM7,000 and medals for their 3DModelPDF plug-in. Team DevPet comprising Applied Geology students Masshiela Ahmad and Julius Stephen, computer system and networking student Nur Hanani Ahmad Shukri and petroleum engineering students Ian Chang and Rohan Vijapurapu were among six teams from five universities chosen to compete in the final round. Miri – 3 April 2013 – Curtin University, Sarawak Malaysia (Curtin Sarawak) applied geology final-year student Ching Siu Jeen Ho, 23, was recently awarded a Student Excellence Award at the 36th Petroleum Geoscience Conference and Exhibition (PGCE) 2013 held at the Kuala Lumpur Convention Centre. The award, which was sponsored by Exxon Mobil, included a 32GB iPad. Ching (far right) with Chairman of ExxonMobil Subsidiaries in Malaysia J. Hunter Farris (middle) and other award recipients. 2. Curtin Sarawak geology students are now working underground!